Being fully prepared for a job interview is essential if you want to have an impact on your prospective employers. Here are our top ten tips to making a great impression at any job interview. What are the Big Tech CEO’s getting paid? Apparently according to recent data, this year’s class of top public-company CEOs are definitely being compensated like royalty. After Google and Mozilla, Facebook will now pay cash rewards to researchers who privately report vulnerabilities that could expose the privacy or security of the Facebook users. We lost count of how many variant of Samsung Galaxy S4 already out there and how many more to come. This time they have made one compatible for advanced network of South Korea. I read a powerful and interesting article by Steve Tappin who is the BBC CEO Guru & Founder. 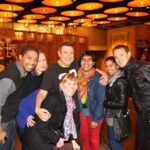 I thought with whats going on here now in South Africa everyone would enjoy this article. I look forward to your comments? If the man can forgive and let go, can’t we all? 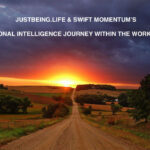 Swift Momentum has recently bought the intelligence database software and is ecstatic with the results and functionality. Its linkedin intergation is a priceless function that no other recruitment database is using. The smooth transition from the intelligence team and Shane was quick and swift. We look forward to stream lining the business through this product.